Lake County Sheriff’s Deputies responded about 1:00 a.m. Thursday July 13, 2017 to a report of a stabbing at the Chain O’Lakes State Park Campgrounds, 39947 North State Park Road, in unincorporated Fox Lake. Sheriff’s deputies arrived and located a stab wound victim, a 26 year-old male of Jamestown, New York. 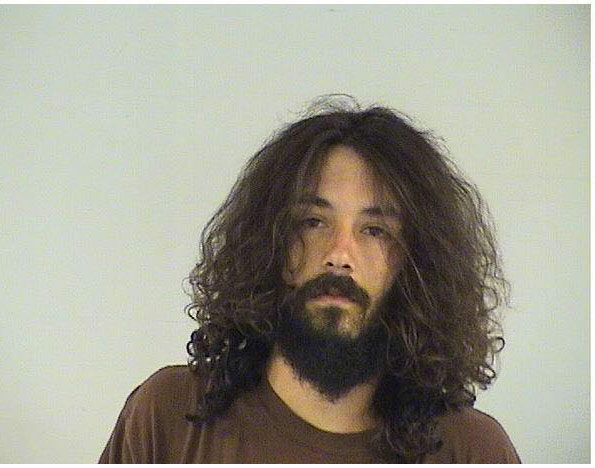 The victim was allegedly stabbed by Tony R. Ozanick, 27, of the 6900 block of South Loomis Road, Wind Lake, WI. Preliminary investigation shows the victim and Ozanick were at the camp grounds separately, but met each other earlier in the day on Wednesday, July 12th. Ozanick, joined the victim near the victim’s campsite to socialize during the evening hours. As the evening progressed, Ozanick was asked by the victim to leave his campsite. After Ozanick left, the victim went to sleep inside of his tent, at his campsite. A short time later, the victim awoke to find Ozanick inside of the victim’s tent. An argument ensued which became physical, Ozanick produced a knife and stabbed the victim in the leg. The male victim was transported to Centegra Northern Illinois Medical Center, McHenry, with injuries initially believed to be non-life threatening. Ozanick was arrested and subsequently charged with aggravated battery with a deadly weapon (class 3 felony), aggravated battery causing great bodily harm (class 3 felony), criminal trespass to property (class B misdemeanor), and two counts of disorderly conduct (class A misdemeanors). Ozanick remains held at the Lake County Jail on $20,000.00 bail. He is next due in court on Tuesday, July 18, 2017 at 9:00 a.m. in courtroom C-120. Lake County Sheriff Curran reminds the public the defendant is presumed innocent until proven guilty in a court of law. Tony Ozanick, Chain O’Lakes State Park Campgrounds stabbing suspect.